It's snowing here in the mountains of Virginia, and tonight feels like the perfect time for a ghost story. So bundle up, scoot closer to the fire, and let's celebrate President's Day the spooky way. It is sometimes said that the most haunted home in America is the White House. Countless stories of spirits and presences have been documented. Presidents, first ladies, heads of state, and the staff have heard footsteps, disembodied voices, and mysterious creaks. Occasionally, full-body apparitions have appeared only to fade when the witness ran screaming or fainted dead away. Of course, there is one spirit that tops the list, being seen so frequently that it's earned the title of "The White House Ghost": the ghost of Abraham Lincoln. The first person to see Lincoln's ghost was Grace Coolidge, who lived in the White house as first lady between 1923 and 1929. One day, she reported seeing an apparition of in the Yellow Oval Room. He stood with his back to her by the window, looking out over the Potomac. In 1942, Queen Wilhelmina of the Netherlands heard footsteps in the hall outside her bedroom door. As it was midnight, she was surprised when a knock came. She answered it. On the other side of the door stood Lincoln, in frock coat and top hat. Wilhelmina fainted dead away. However, that was not the only bedroom to be visited. Many anonymous eyewitnesses reported hearing footsteps inside and outside the Lincoln bedroom at night. Sometimes a knock would come at the door to the bedroom, and when answered by the occupant, there would be only empty air. Undoubtedly, that room where Lincoln himself spent countless sleepless nights is the most haunted. Plenty have seen him lying in repose on the bed. Others have seen him going about his everyday business. Famously, Mary Eben, secretary to Eleanor Roosevelt, looked into the room one day. At the end of the bed, she saw the long-limbed figure of Lincoln sitting. pulling on his boots. Immediately, she ran from the room "terribly wrought up". Other accounts say she was screaming. Others reacted to the ghost of Lincoln more stoically. Winston Churchill disliked staying in the Lincoln bedroom. But, despite his unease, there he slept during a visit in the '40s. He was unwinding in the bathtub after a long day, smoking his cigar, and drinking scotch. Even though I can't imagine why you would leave such bliss, he eventually rose from the bath and, wearing nothing but his cigar, walked into the bedchamber. He was shocked to see Lincoln standing by the fireplace, leaning on the mantle. According to the story Churchill told, the British leader then said "Good evening, Mr. President. You seem to have me at a disadvantage!" Lincoln smiled softly and disappeared. However frightening these stories of Lincoln, they don't compare to the other ghost that haunts the White House. 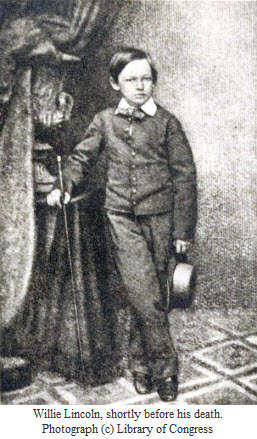 At age 11, Willie Lincoln died of illness- most likely typhoid fever. The death nearly drove his mother Mary Todd to insanity, and his father into a deep depression. 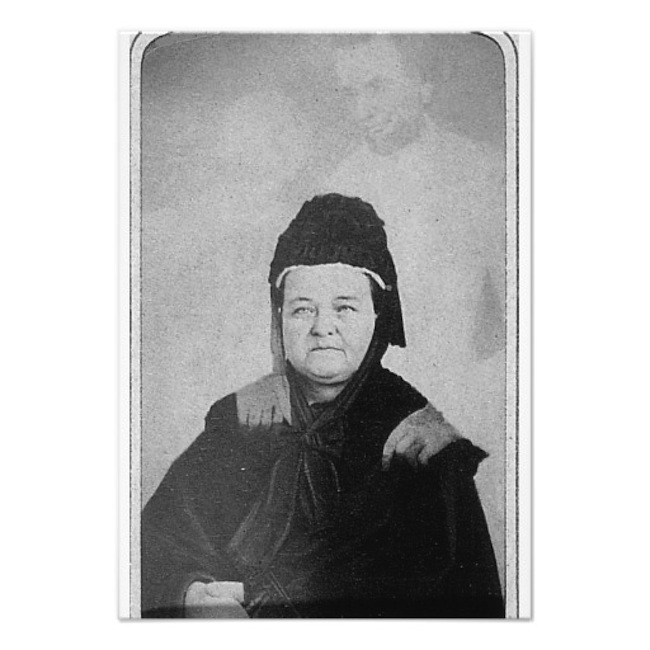 Willie's ghost was seen as early as the 1870s during the Grant administration, but has haunted the House for many years since. In the 1960s, LBJ's daughter, Lynda Bird Johnson Robb saw Willie's ghost. She was staying in the room he'd died in. She said she talked to him. Whether these ghosts are merely hallucinations and the settling of a centuries-old house, we may never know. But one thing is for certain, something haunts the greatest house in the land, even if it's just memories.